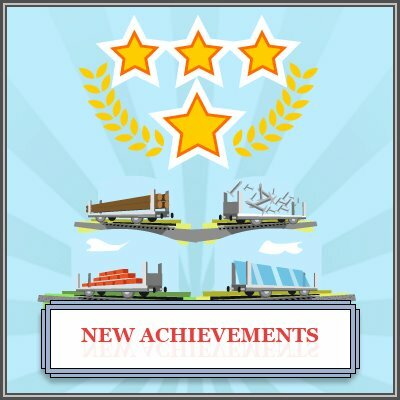 New line of achievements appeared in the game today! Are you a big spender when it comes to shopping? Get rewarded for it! Spend materials in our game’s shop and complete these new achievements! Wood, nails, bricks and glass are the first materials you should be spending, more will follow in the upcoming weeks!